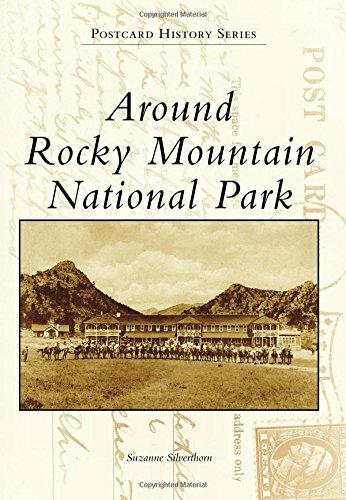 Following the establishment of Rocky Mountain National Park in 1915, promotional campaigns generated by the railroads lured wealthy travelers to the park with images of the great outdoors and the many luxuries offered by the finest hotels. Postcards were circulated proclaiming the park as the "Playground of the World." The gateway communities of Estes Park and Grand Lake became vibrant hospitality centers, and in 1920, when the two towns were connected with the opening of Fall River Road, a new era of tourism was introduced that continues today. More than 200 postcards are used in this book to provide a chronology of the early hotels, ranches, and other settings that have shaped the park's history for more than a century. Suzanne Silverthorn has been a summer resident of Grand Lake since her childhood. Her collection of historical postcards and ephemera was inspired after discovering a box of postcards that had been sent to her grandmother describing the family's summers in the Colorado Rockies.